When Dad told us that we’d be travelling for just shy of an hour from Chester to get to our lunch destination for Mum’s birthday, it’s fair to say there were a few raised eyebrows. Given the amount of incredible restaurants in our home city, at first we didn’t see the need to go all the way to Aughton, Lancashire. That’s not to say we questioned the calibre of restaurant – Dad’s got a nack of seeking out the best places. This time however, it wasn’t just his verdict which we had the backing of. Voted the number one restaurant in Lancashire, featured in the Michelin Guide and with a Michelin starred restaurant within the 5 acres of land which this restaurant and rooms occupies, we were on to a winner. Set within the beautiful North-Western countryside, this barn conversion opened only back in 2017 with Local lad, Mark Birchall heading up the kitchen. With 18 years of experience, he and his team delivered us with some incredible and classic dishes on this fine Sunday afternoon. Beginning proceedings with various gins, cocktails and beers, the limited but emphatic menu which offered up to three dishes for £35 took some deliberation. Opting for wild mushrooms with poached duck egg on sourdough to begin with, it was a wonderful opening. All ingredients are sourced from the farmland within Moor Hall where possible, or if not locally from around Lancs. I can only imagine these mushrooms were grown and eggs laid within a stones throw of my plate. Going light to begin with, that was about to change as Sunday roasts took centre stage and with my choice to go with the shared whole chicken with Olivia, I should’ve known I would end up eating at least three quarters of it. 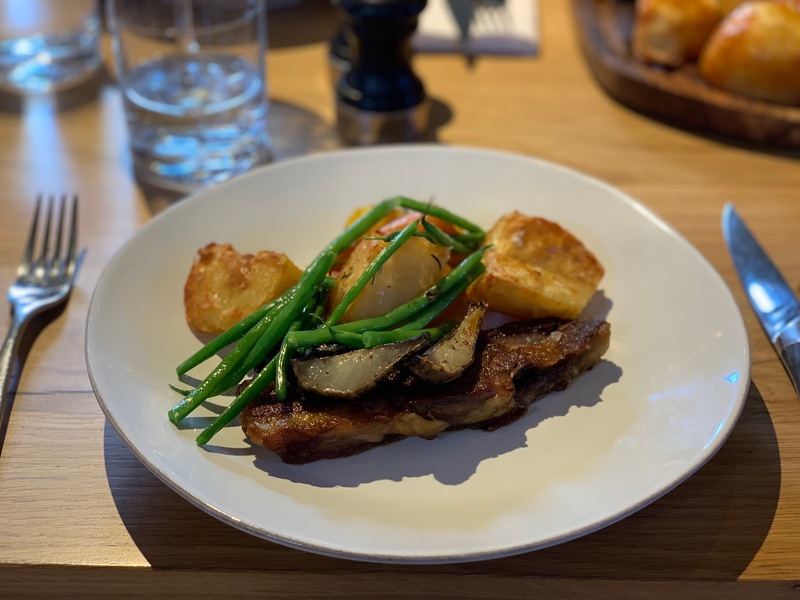 As I saw it approaching the table, minds were a blank as to how we’d tackle this without making a mess – good job it was just stopping by before returning to the kitchen to be cut by the chef! 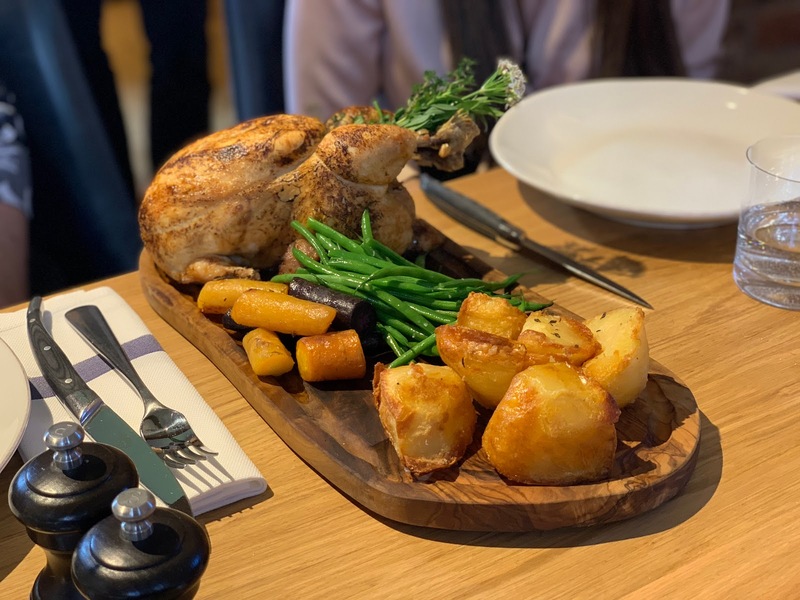 The chicken was delectably tender, the roast potatoes crispy on the outside and soft in the inside – as it should be, and the vegetables by no means took a back seat either. On a normal day we’d quite happily walk away at this point and get on with the rest of our afternoon, but we managed to save a special space for cheese in our incredibly full stomachs and proceed with dessert. 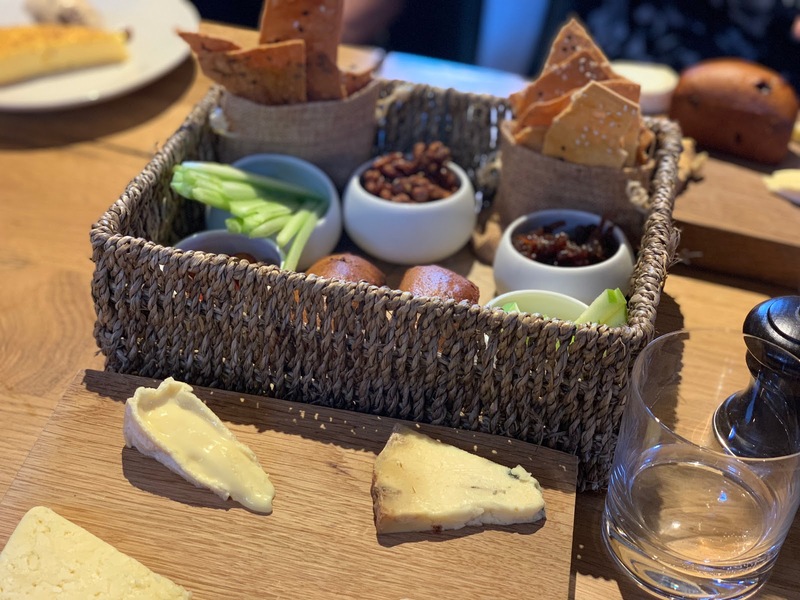 Complete with local chutney, crackers, celery, grapes and apple, the artisan farmhouse cheeses varied in strength and style but were consistent in the fact that it was all absolutely outstanding. The Barn at Moor Hall will live long in the memory and I’m sure will become a go to spot for occasion celebrations. Maybe we’ll save a few pennies and head over to the Michelin starred restaurant next time! It’s not often that we give five stars on all fronts. I just had dinner but i am getting hungry again! the food looks fantastic and so appetizing! Everything was so tasty, such a great place for an occasion! This sounds like a fab place for a treat! 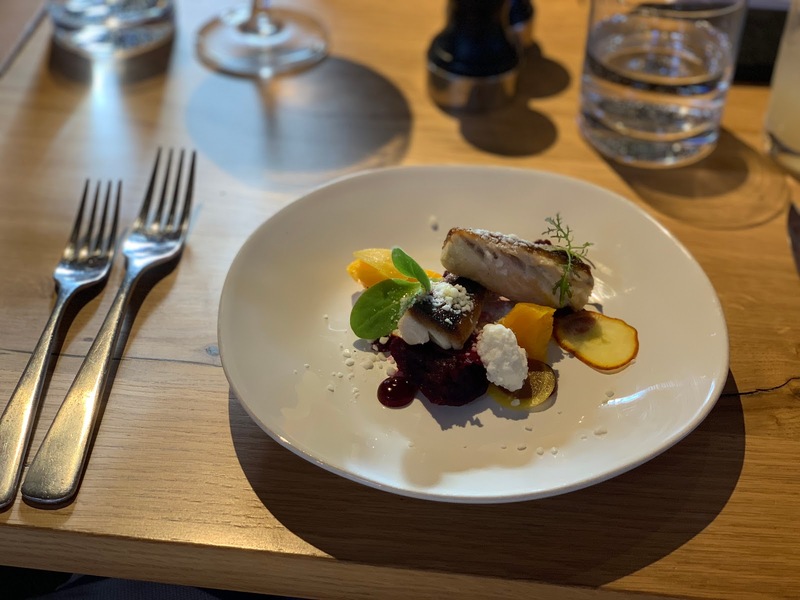 I’m not too far from Aughton myself so I’m going to add this to my list of restaurants to visit – I have a lot of them 🙈😂 The photos you’ve taken are great, got to love a cheeseboard! Oh nice! Defo a great place for a treat, do let us know if you ever go! This restaurant sounds amazing and love the cheese picture! Cheese is life! It was a great end to a meal! Yes, exactly! The small touches but also make is so personal and unique! I definitely don’t mind travelling a bit to eat somewhere really good! One of my favourite restaurants is around a half an hour drive away but it’s well worth it. This food looks lovely!